Panama City, the capital and largest municipal of Panama, is a modern city framed by the Pacific Ocean and the Panama Canal. Being the most cosmopolitan capital in all of Central America it is vibrant and vast. 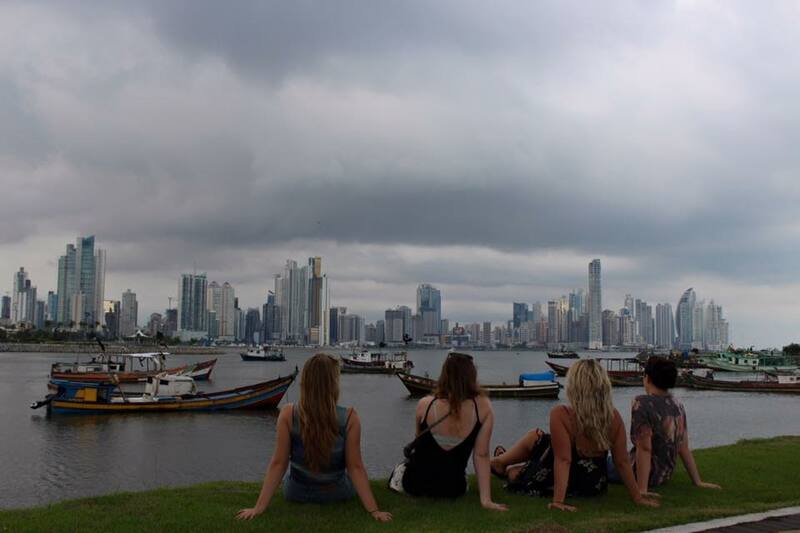 I had little to no expectations for Panama but was blown away by this amazing city and country. Here is a list of my favourite things to do in Panama City! EVERYTHING TO SEE AND DO IN PANAMA CITY! Our highlight during our time in Panama City was visiting the Trump Tower. During my travels through Colombia I was chatting to a fellow traveler who mentioned his day spent here and boy was I lucky I met him. 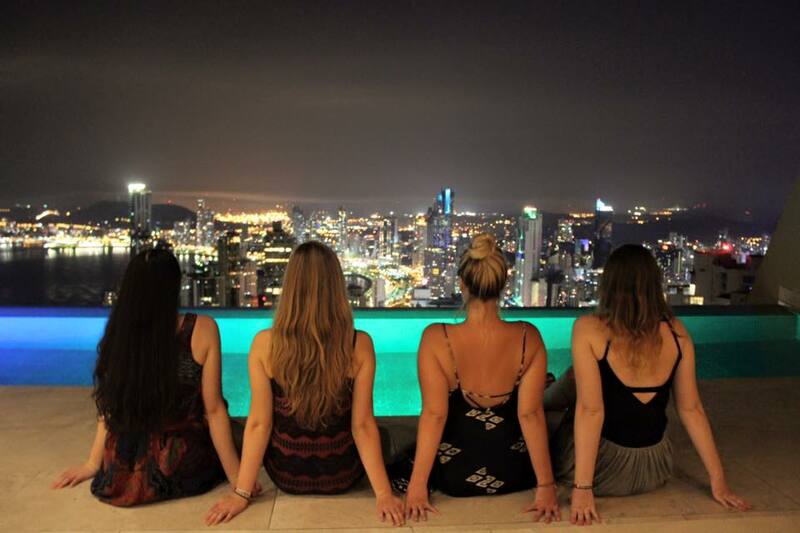 The 66th floor of this immaculate hotel boasts some of the most beautiful views of the Panama City skyline and has an infinity pool to boot. All you have to do is purchase a drink. We felt like we were living the lifestyles of the rich and famous… on a backpackers budget. It was amazing! Don’t forget your camera! The Panama Canal is a 77km long man-made ship canal that connects the Atlantic Ocean (via the Caribbean Sea) to the Pacific Ocean. It’s also one of the Sevens Wonders of the Modern World. I love ticking those seven wonders off my list! The most common way to see the Canal is via the Miraflores Visitor Centre, which costs $15 per person. We didn’t really want to spend this so we caught a $1 taxi to Pedro Miguel, a spot on the side of the road where you can see the locks and the canal. It’s not an official spot by any means but if all you want is to see the locks then this is the cheapest option. It was pouring with rain so we spent only a minute here before heading back on the bus and into the city. We didn’t get any quality photos due to the rain so here is another pretty picture of the skyline. 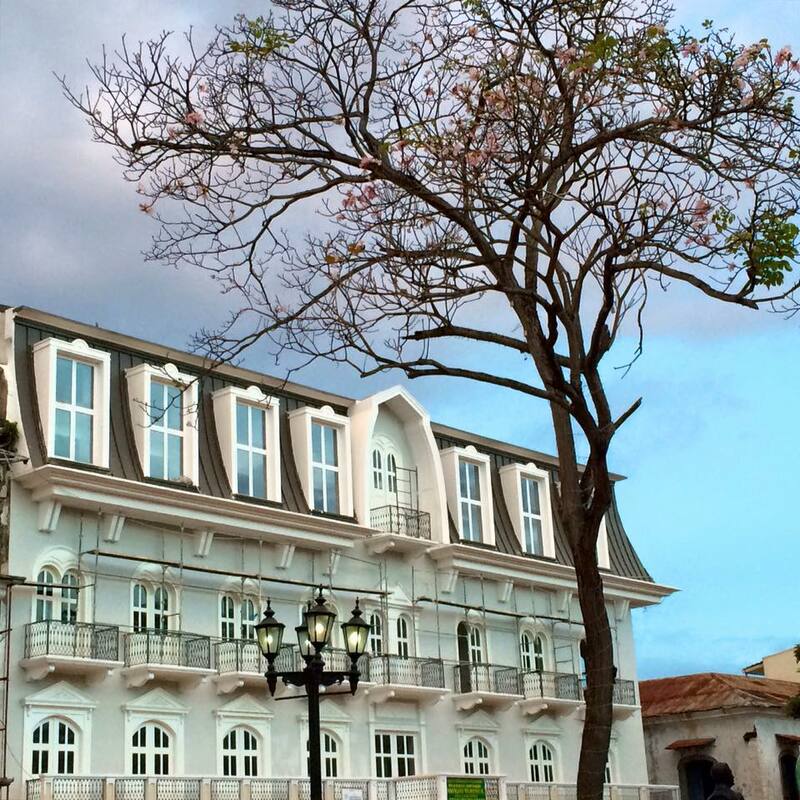 Cisco Viejo is the old city of Panama City, in fact Casco Viejo translates as ‘old quarter’ in Spanish. It was built following the near total destruction of the original city by pirates in the 1600’s. Today it is listed as a UNESCO World Heritage Site. With cobbled streets, crumbling buildings, trees growing though former ballrooms, underground bars, quaint cafes, market stalls and boutique hotels this place is uniquely it’s own. I fell in love with this place within my first hour of being in Panama. I spent hours just walking through the streets, admiring the buildings, taking photos and appreciating the energy of the place, which was both calm and exciting at the same time. This town is being restored carefully and it is about to boom, I can just feel it. It also boasts some awesome views of the city skyline and the pacific. 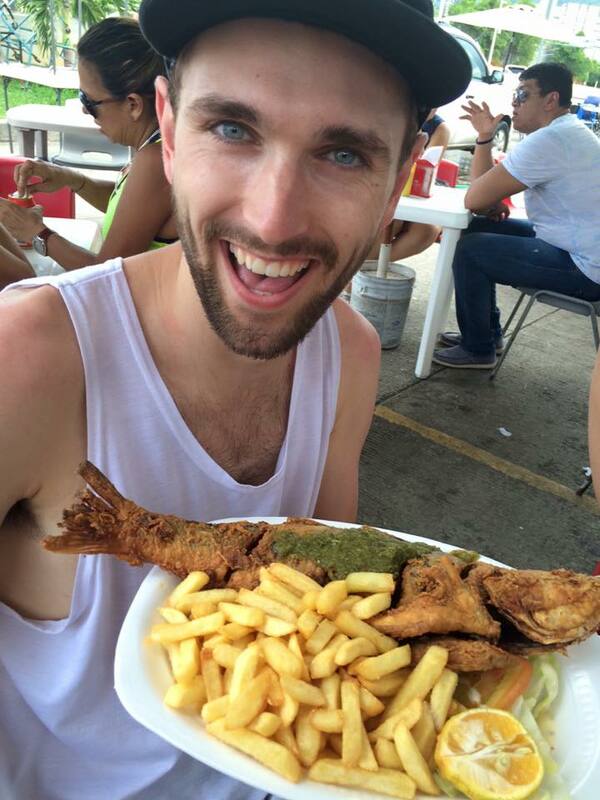 The freshest seafood in all of Panama city can be found at Mercado De Merisco. Just a short stroll down the boardwalk from Casco Viejo you’ll find these fish markets, where a fleet of more than a thousand small fishing boats unload their catch each day. This market is lined with hundreds of stalls selling fresh seafood for a small price. Look for the stall with the most locals as that’s usually where you’ll find the freshest and tastiest supply. You can get a cup of fresh Ceviche for $1.50 or a whole fish with Plantain/Patacones or Fries for less than $8. It is delicious and very filling. Yum! Their is also an array of amazing restaurants in Casco Viejo, particularly around the squares/plazas near the cathedrals. We stayed at Magnolia Inn, a boutique hotel/hostel run by a couple of Americans. It was perfectly located in the Casco Viejo area, boasted a great kitchen, common rooms, clean bathrooms and the most comfortable beds in all of Central America. I couldn’t have enjoyed this place more! Panama city exceeded all of my expectations. What I thought would be a quick stop on my way to the San Blas Islands ended up being a stop I thoroughly enjoyed and a city I fell in love with. I hope this guide helps you plan your time in this epic city. 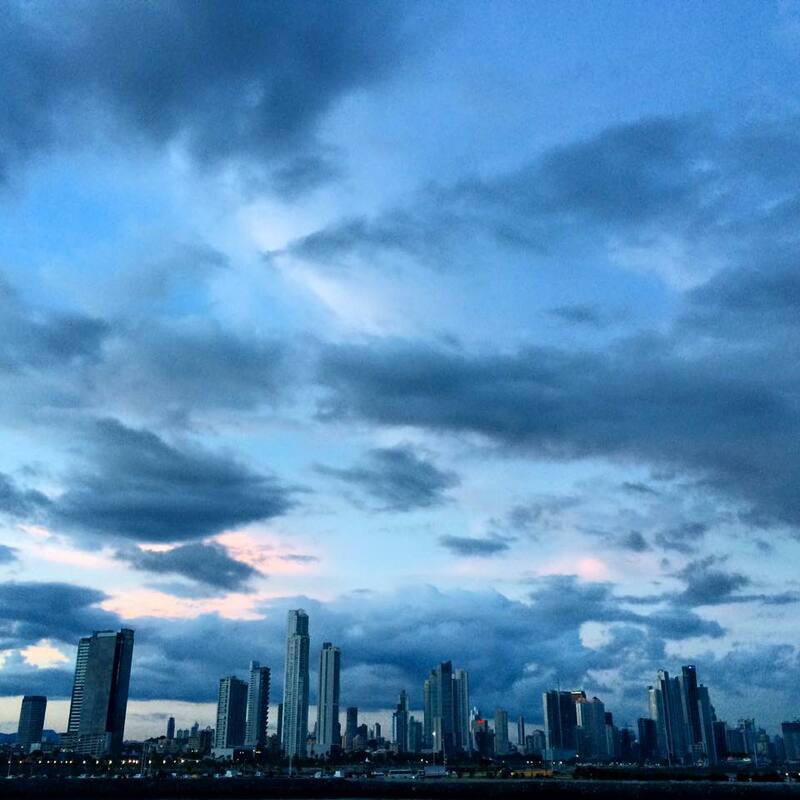 Have you been to Panama City? What were your highlights? If you haven’t been does it sound like somewhere you would like to explore?